No matter how you feel about Christmas decorations on display in big-box stores before Thanksgiving, ‘tis the season for snowflakes and sugar plum fairies. Fortunately, we Keys-dwellers still get to experience the warmth of the season (both the feelings and the climate) while skipping the finger-numbing snow shoveling thanks to Joyce Stahl’s biennial production of “The Nutcracker,” a colorful tribute to the original ballet with a tropical twist. 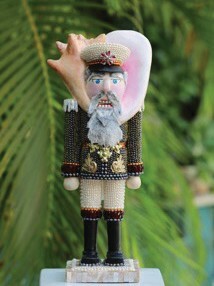 To mount a production the caliber of “Nutcracker Key West” takes money – lots and lots of money. Every iteration of the ballet requires a tremendous fundraising effort and this year that effort was rendered even more onerous because the show needs an entirely new set for Act II. 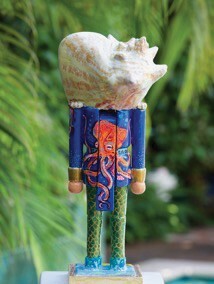 To raise the additional $25,000, Ms. Stahl will be auctioning off 14 conchified nutcrackers, each one painted and embellished by a local artist. 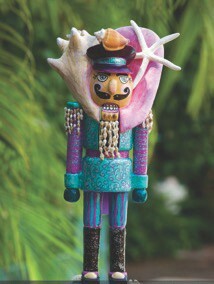 The nutcrackers will be on display at The Studios of Key West (533 Eaton St.) until Nov. 29. 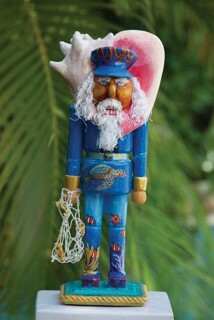 Of the 14 nutcrackers, two have already been snatched up by excited, generous donors. To win one of the remaining 12 works of art, patrons can purchase raffle tickets for $25 or $30, depending on the desired nutcracker. One hundred raffle tickets will be sold for each nutcrack-er and there is no limit on how many tickets a donor can purchase. 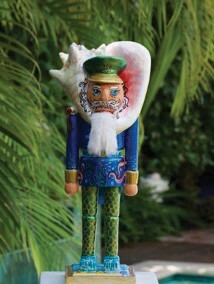 To purchase a raffle ticket, call Linda Shagena at 305-240-9452 between 3 and 5 p.m. Once the 100 tickets allotted for each nutcracker have been sold, that nutcracker will be pulled from the auction and the winning ticket will be drawn. 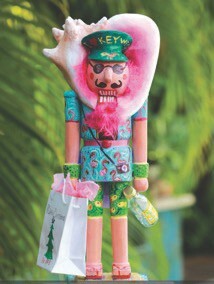 Any nut-cracker that does not reach its raffle quota before Nov. 29 will be displayed at the Nutcracker Key West boutique table in the lobby of the Tennessee Williams Theater during the show’s run.